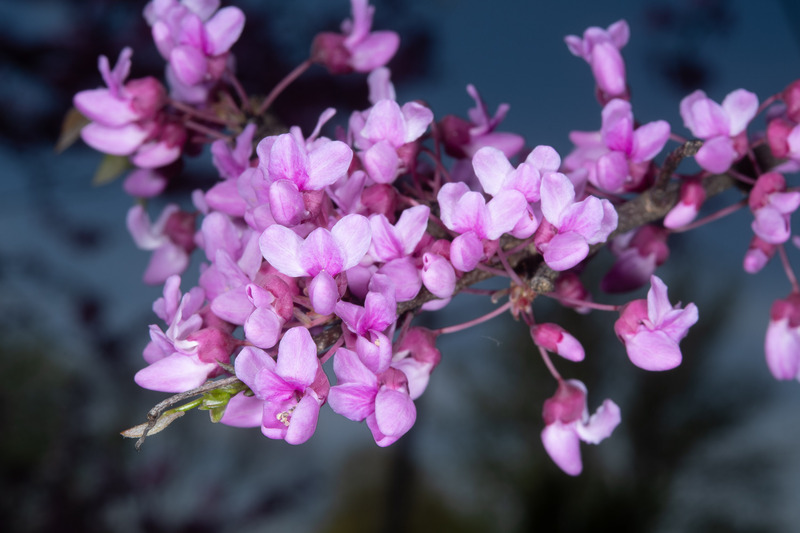 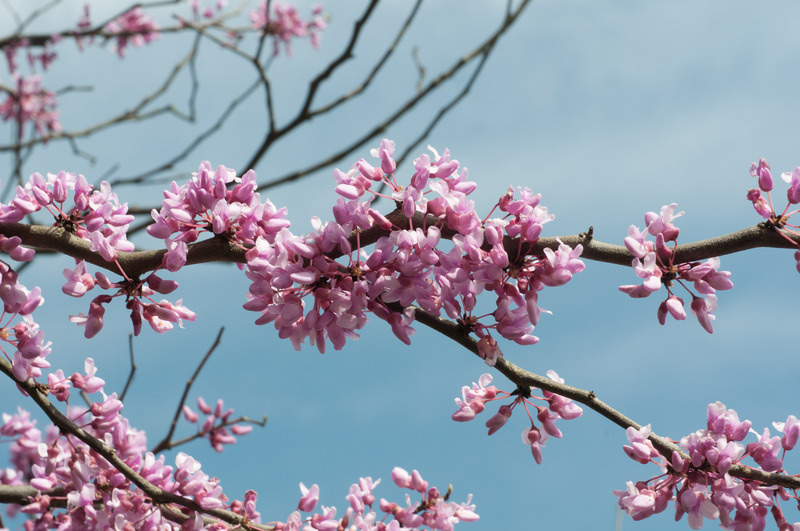 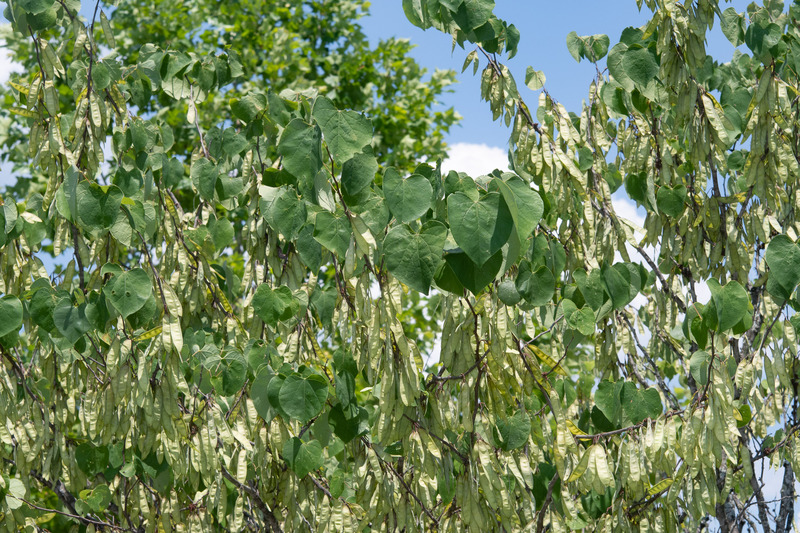 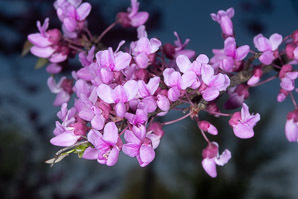 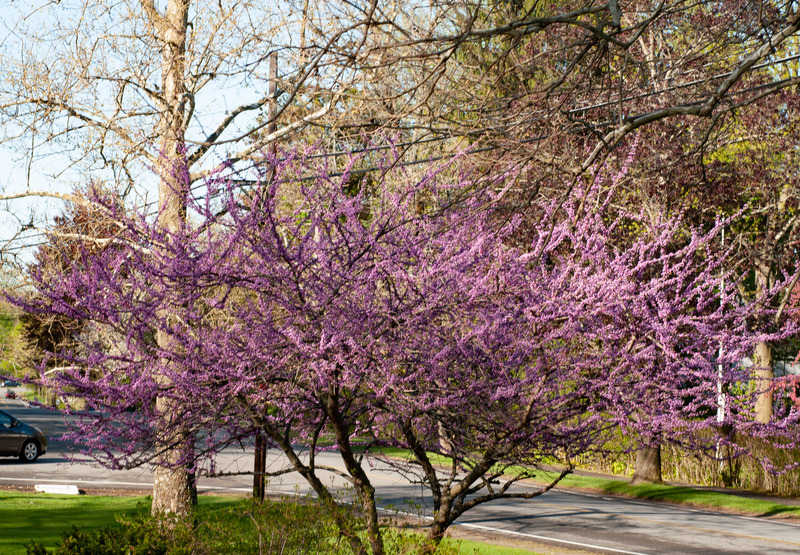 Eastern redbud is native to eastern North America. 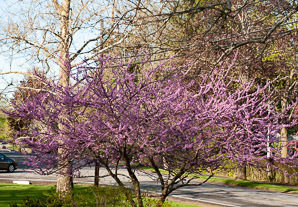 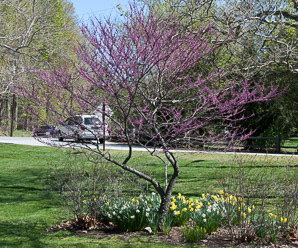 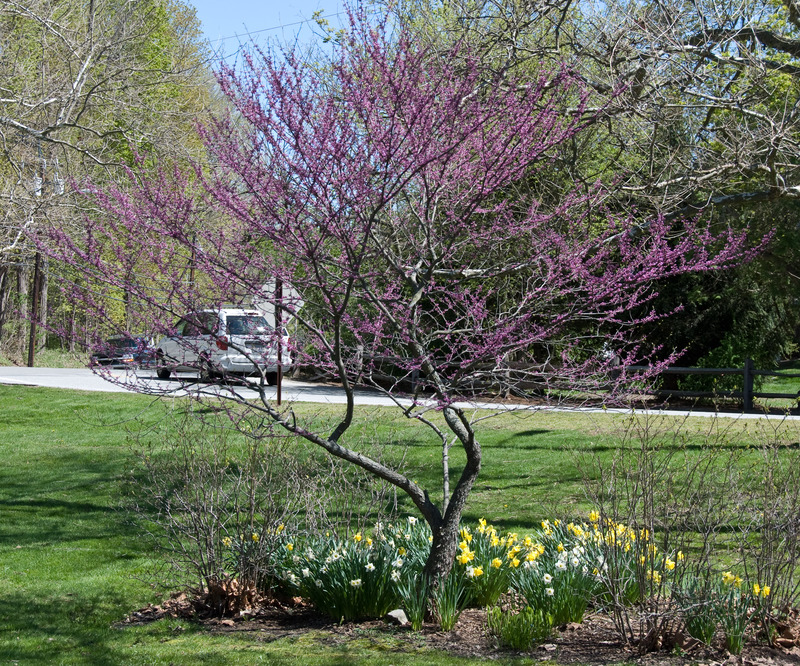 Cultivars of eastern redbud are popular as ornamental plants. 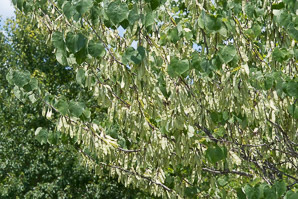 Identification: This small tree reaches heights of 30' (9.1 m), though it is usually about half that height. 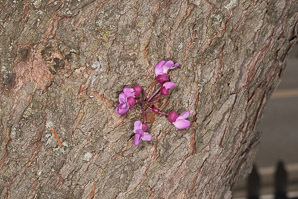 The crown is often quite irregular in shape. 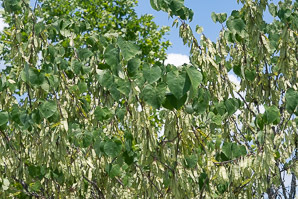 It has dark bark that is smooth in younger trees and becomes scaly as the three ages. 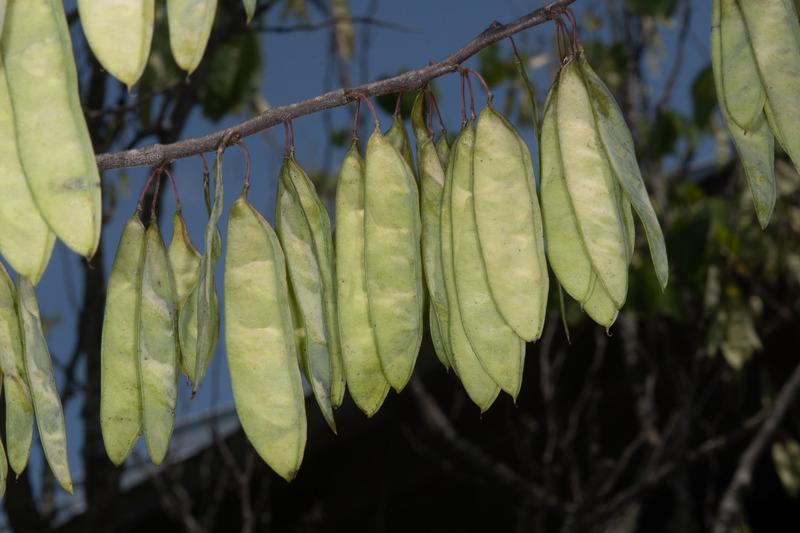 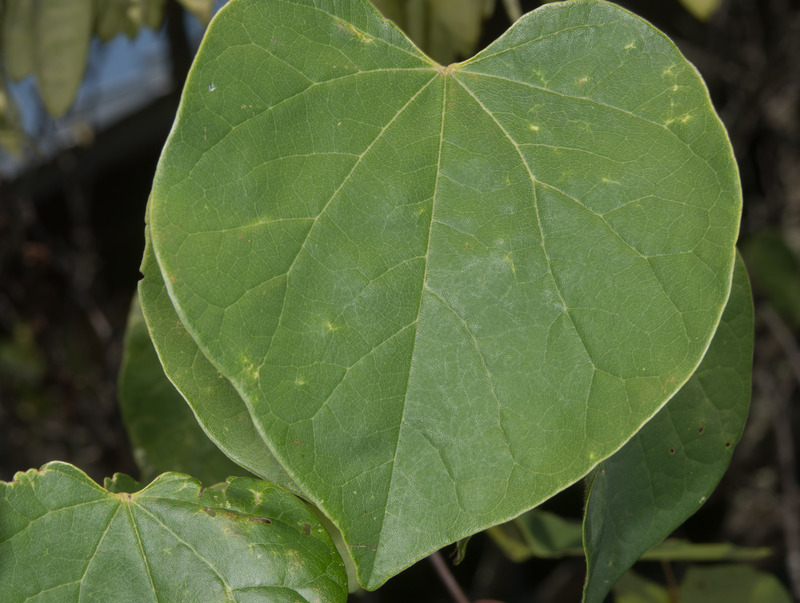 Broad, oval shaped leaves are about 4" (10 cm) around. 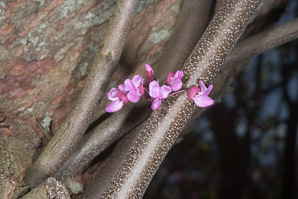 As these plants begin to bloom, it looks almost as if the branches are covered with purple felt. 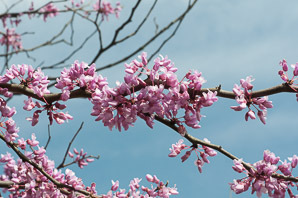 Then the buds open, producing attractive pink/purple flowers. Fruits resemble brown pea pods, 1-3" (2.5-7.6 cm) in length. 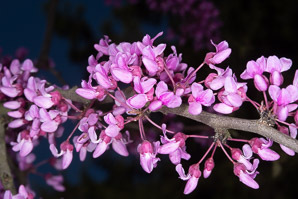 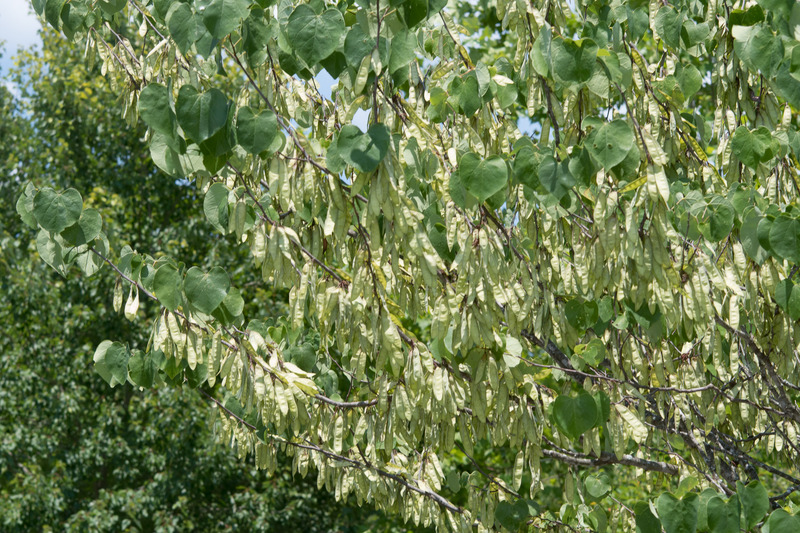 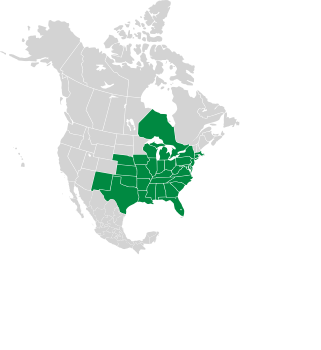 Cercis canadensis description by Thomas H. Kent, last updated 2 Jan 2019.